CAN I SCHEDULE A CALL TO LEARN MORE ABOUT BOOKING A PHOTOGRAPHER? Absolutely! You can schedule a quick, 15 minute orientation with our amazing inquiry manager, Meghan to learn more about the booking process and how Head & Heart Photography can help you create the perfect package for your day. Click the following link to schedule your consultation. HOW DO I LEARN MORE ABOUT THE HEAD & HEART PHOTOGRAPHERS AND BOOKING A PACKAGE? Get in touch! Below is a link that will take you the photographer profile page. From their you can read a quick bio about each photographer and see a small sampling of their work. After finding a photographer whose work and personality you connect with, click on the “inquire” button on their profile and fill out and inquiry form with all the information you have about your plans so far and they will get back to you ASAP with their ability and to answer any other questions or thoughts you may have. WHAT IS KIEL RUCKER’S ROLE AS THE CREATOR OF HEAD & HEART PHOTOGRAPHY? My primary role and responsibility to member photographers is to seek out and generate as many high quality leads for them as possible. Equally as important is that each and every Head & Heart client has the best experience possible from initial inquiry all the through the delivery of final images and beyond. Another of my roles for couples and clients is to facilitate fluid communication between themselves and their photographer, to make sure that expectations are clear on both ends of the agreement, and to take charge of all print and product deliveries after the event or session. Talented, local Santa Barbara photographers for couples celebrating their love in Santa Barbara. Local Santa Barbara photographers who are excited to photograph new loves! Working with and for couples celebrating their wedding and love in Santa Barbara and the Central Coast. Head & Heart photography was born from 8 years of my own experience as a Santa Barbara photographer, and the realization that every person that is willing to invest any money at all in photography deserves the best experience and the most beautiful photography they can secure, even with a more modest budget. There is so much talent and potential that exists in Santa Barbara, Head & Heart looks to find photographers with this talent, and to help them break out into the Santa Barbara Wedding Photography Scene. Head & Heart Photography is the culmination of all the experience and knowledge I’ve gained about both sides of the photographer/client equation, boiled down into a product that offers member photographers high quality opportunities to demonstrate and hone their craft while offering their clients an amazing photography experience from initial inquiry to the the delivery of their final images. Head & Heart is a locally focused, limited membership, online photography studio that I created with the purpose of finding and lifting-up talented, local photographers, and connecting them with couples and clients looking to book a photographer whose work and personality they can be confident in. Each photographer has gone through an application process that consists of a detailed online questionnaire requiring information about their experience, skills, goals and more, an in person interview with me, and (when opportunity permits) shooting with me on one of my weddings or projects to see how they work with people. I do not invite a photographer to be a part of Head & Heart unless I am confident in their talent, personality, experience and their potential to grow as individuals and photographers. Talented, local Santa Barbara wedding photographers for couples celebrating their love in Santa Barbara. Modern, honest and authentic Santa Barbara wedding photographers for new loves. Working with and for couples celebrating their wedding in Santa Barbara and on Central Coast. Head & Heart photography was born from 8 years as a Santa Barbara based wedding photographer, and the realization that every couple that is willing to spend any money at all on wedding photography in Santa Barbara deserves the best experience and the most beautiful photography they can secure, even with a more modest budget. 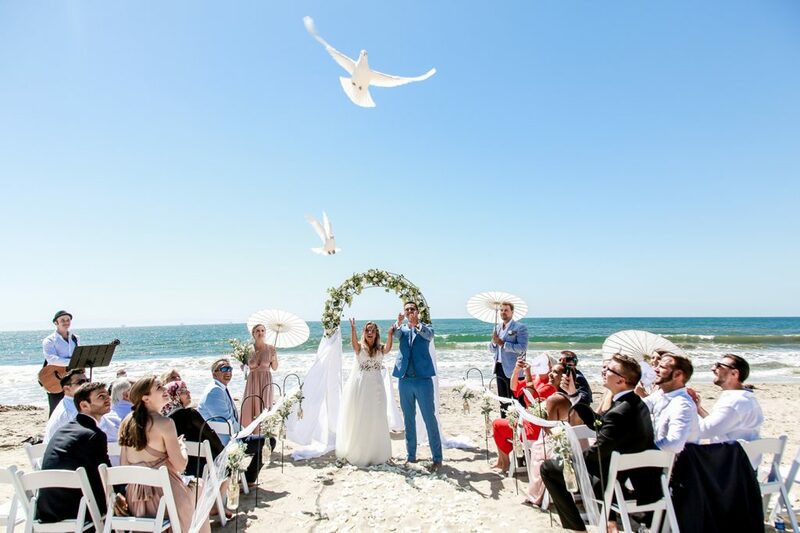 There is so much talent and potential that exists in Santa Barbara, Head & Heart looks to find photographers with this talent, and to help them break out into the Santa Barbara Wedding Industry.